Dylan Edward Mulligan writes: This house was built in 1893 by J. B. Seckinger and was originally a single story house. 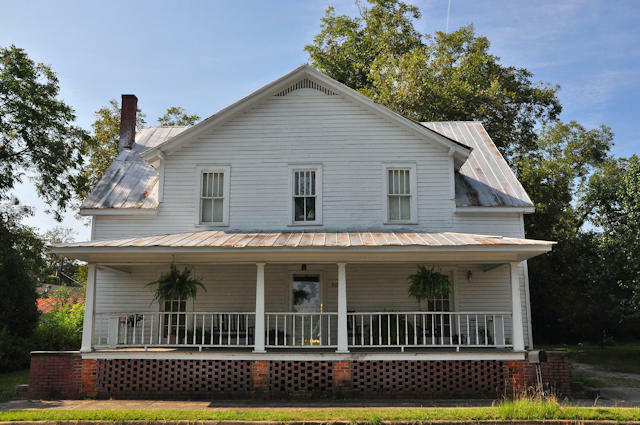 It was purchased in 1916 by John Daniel Bradley, Sr., who was the president of the Collins & Glennville Railroad. 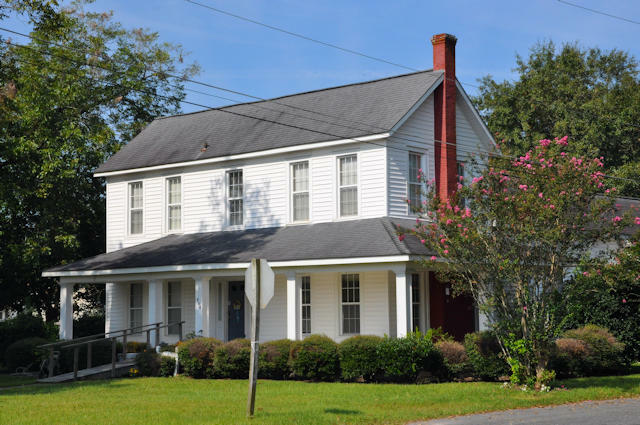 The Bradleys remodeled the house in 1932, adding the second floor and the columned porch. 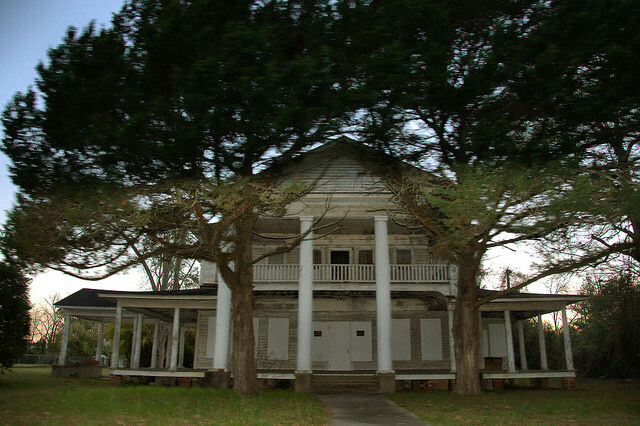 It is still owned by a member of the Bradley family who does not reside in Glennville. 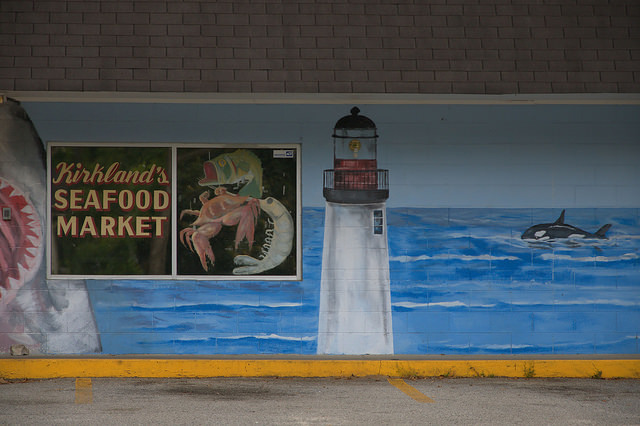 Most small towns once had their own seafood markets and fishmongers, but this is increasingly rare today. The colorful murals were what first caught my eye. 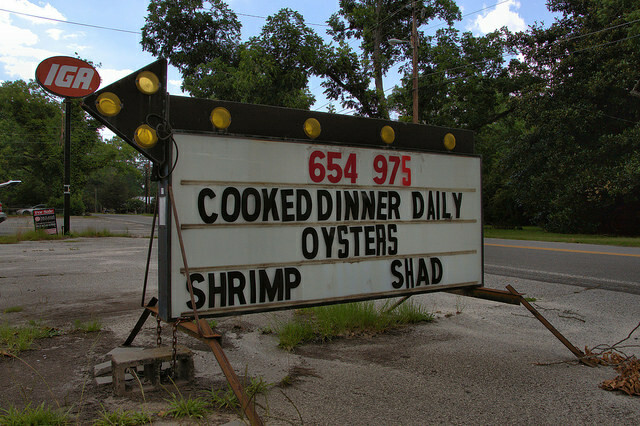 As the sign suggests, they serve what they sell, so I hope to check them out. I made this photograph about three years ago. 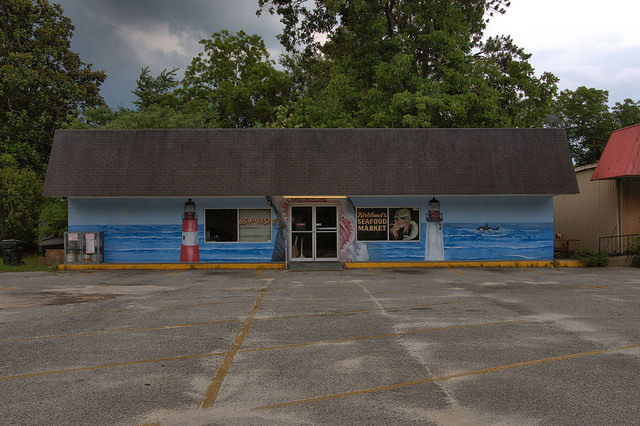 The restaurant is still here, but it’s not known as Dubberly’s anymore. 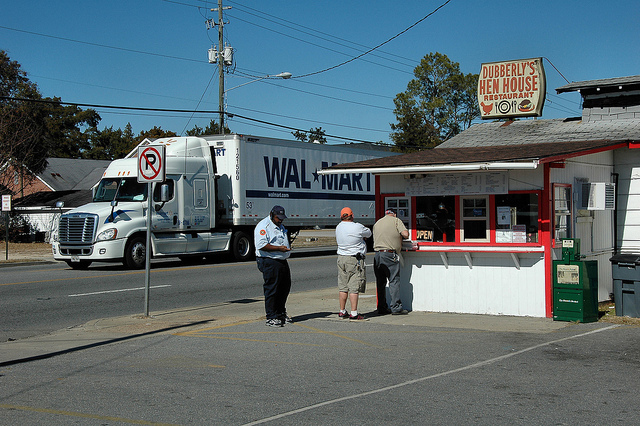 It does, however, still have great fried chicken and lots of other local favorites. Built by Martha E. Mann, this house was sold to Claude Dixon in 1924. 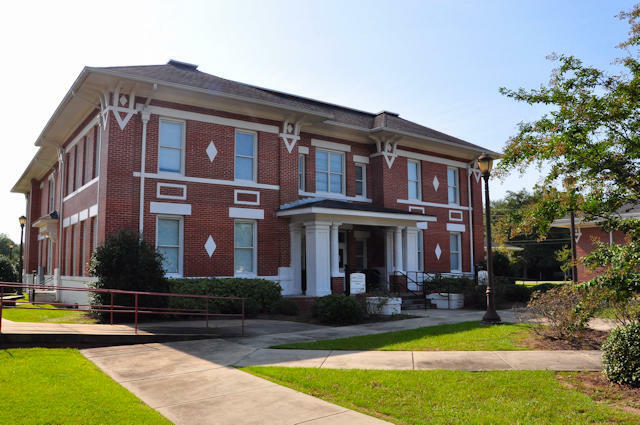 This beautiful school is well-maintained and is used by Southeastern Technical College and the Glennville Tattnall Museum. 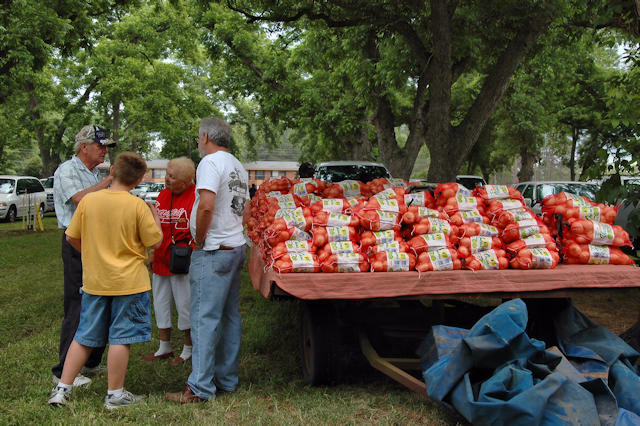 I made these photographs at last year’s (2011) 35th Annual Glennville Sweet Onion Festival. 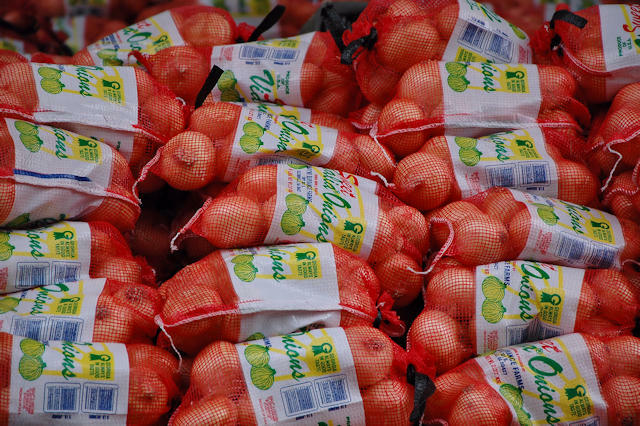 Tattnall County grows more Vidalia Sweet Onions than any other county, accounting for nearly half of the state’s crop every year.